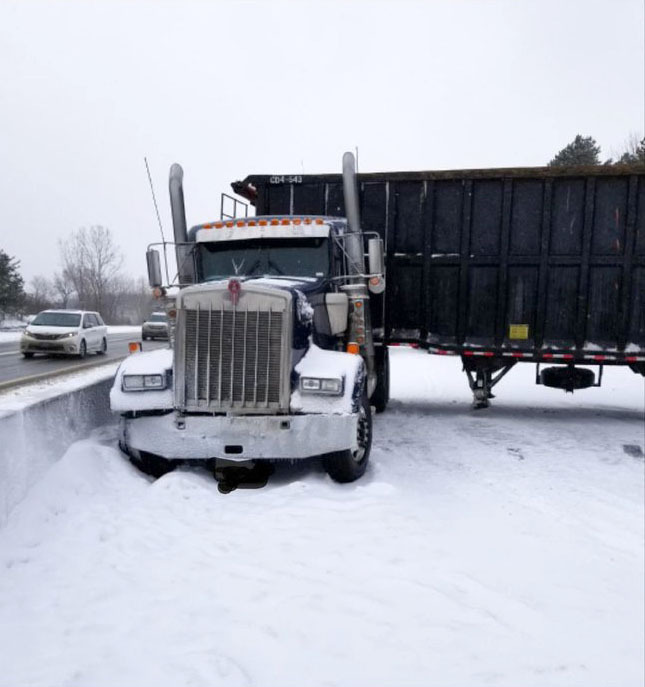 BELLEVILLE – Highway 401 westbound between Quinte West and Brighton will remain closed for several hours following a five-vehicle crash Wednesday morning. A tractor-trailer jackknifed at the County Road 26 overpass around 9:40 a.m., according to the Northumberland OPP. The collision involved four other vehicles, and one person was taken to hospital with serious injuries. Westbound traffic is being re-routed at County Road 40 in Quinte West, north to County Road 41, and re-entering Highway 401 at County Road 30 in Brighton. The highway has been closed to that police trained in collision reconstruction can measure and document the scene, according to the OPP. Weather and road conditions may have been a contributing factor in the crash, they said.